Mercedes-AMG GT and GT Roadster updated for L.A. Auto Show | Car News, Reviews, & Pricing for New & Used Cars. Four years have passed since Mercedes-AMG dropped its GT sports car into the marketplace, which means it’s high time for a facelift. That comes today at the 2018 L.A. Auto Show, where the German automaker unleashes a refreshed Coupe and Roadster, and adds a race-focused GT R Pro model to the lineup. 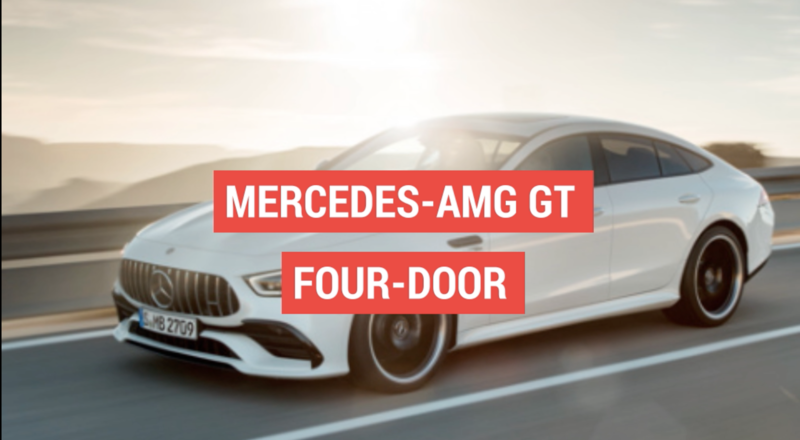 We’ll focus here on the GT and GT C, which features updates that bring the interior up to the tech levels of its 4-Door counterpart while adding desirable new features and increasing performance. The biggest changes to the GT are inside. A 12.3-inch digital instrument cluster sits in front of the driver, and a separate 10.25-inch multimedia display is integrated into the center of the dash. While most functions are controlled by the touchscreen interface, there are rocker buttons for changing drive modes and for adjusting the volume of the infotainment system. A new steering wheel features Touch Control buttons as an additional tool to navigate the car’s numerous menus. The exterior of the AMG GT is refreshed with new lighting clusters that help bring the Coupe and Roadster in line with the 4-Door, and the rest of the fascia and grille up front and rear bumper are similarly redesigned. Power remains the same for the GT Coupe and Roadster — their twin-turbocharged 4.0-liter V8 engines spin out 469 horsepower and 465 pound-feet of torque, which allows them a 0-60 run of 3.9 seconds and a top speed of 189 miles per hour. GT C Coupe and Roaster models similarly retain their ratings of 550 hp and 502 lb-ft, and do 0-60 in 3.6 seconds and carry on to a top speed of 196 mph. An AMG Track Pace package is now standard as part of Mercedes‘ COMAND system, and it includes handy track-specific data recording functions. The AMG Dynamic Select system adds an AMG Dynamics to the previous model’s Slippery, Comfort, Sport, Sport+, and Individual programs. If that’s not enough modes, the Dynamic offering can be broken further down into Basic, Advanced, Pro, and, on the GT C and GT R Master. As you’d expect, these progressively loosen the electronic nanny programming. The biggest news from M-B at L.A. is the addition of the AMG GT R Pro to its line of sports cars. Click here for more on that track-focused model, and stay tuned for live images from the show floor in Los Angeles. Previous article2019 Cadillac Escalade Sport Edition unveiled in L.A.
Next articleCan You MIG Weld Stainless Steel?